Stand straight with a tight core and your chest up. You will be in a classic lunge position. Step forward and be sure to keep your front knee bent. At the same time, extend the back leg. Your back knee should be slightly bent. Place your hands on your hips. If you want a challenge, place them straight above the head. Using all of your force, jump into the air. Simultaneously, switch your leg stance in midair. 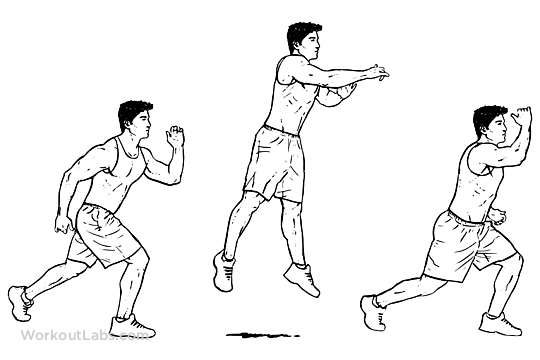 Land in the lunge position and repeat.